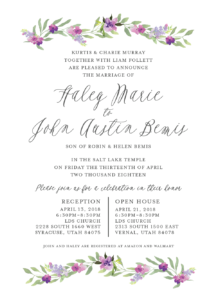 Plan the beautiful religious wedding of your dreams, and get matching invitations sent to your guests without ever setting foot in an invitation design studio. 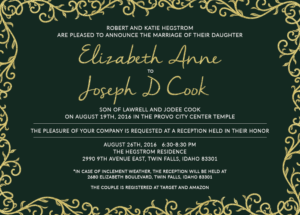 Be your own designer with custom Christian wedding invitations that are 100% uniquely yours! We know that your Christian faith is a guiding principle in your life, and you want to express that in your invitations. 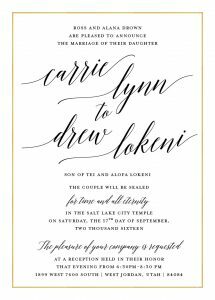 With our custom tailored process, you are in the driver’s seat, dictating how much or how little you want to design of your invitations. Your dedicated designer will be with you every step of the way, to ensure the end result is an invitation that delivers exactly what you are looking for. 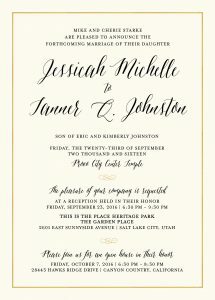 It can be tough to come up with right Christian wedding invitation wording, and we can help you with that too. We have worked with hundreds of Christian couples of different denominations, so we have experience and many examples from past clients to help you decide the right wording for yours. 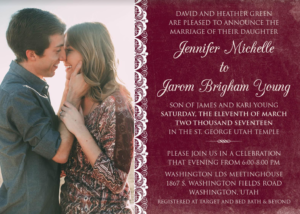 Your gorgeously designed invitations will reflect the spiritual connection that you have with your partner and family, with the right voice to express your deeply held beliefs. We take quality to another level with a default to thick, matte 130 lb. 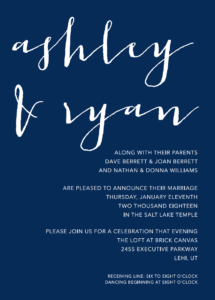 printed card stock on all of our invitations. If you want another style or finish, we can most likely accommodate your needs. 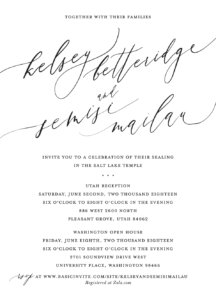 We have a variety of other customization options to elevate your invitations’ style including belly bands, laser cutting, invitation pockets, etc. 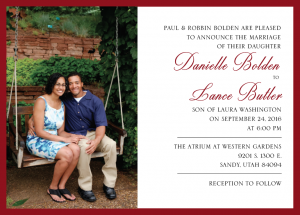 You can also opt for beautiful coordinating add-ons such as seals, save the dates, rsvp cards, and other inserts. 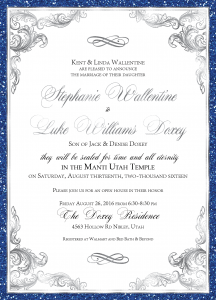 The possibilities are endless, and you will truly be able to customize your invitations to your heart’s desire. 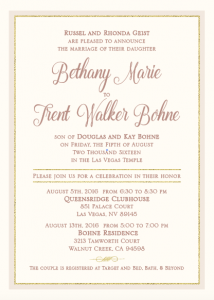 We will help you get the layout, fonts, colors, and wording perfect on your Christian wedding invites!